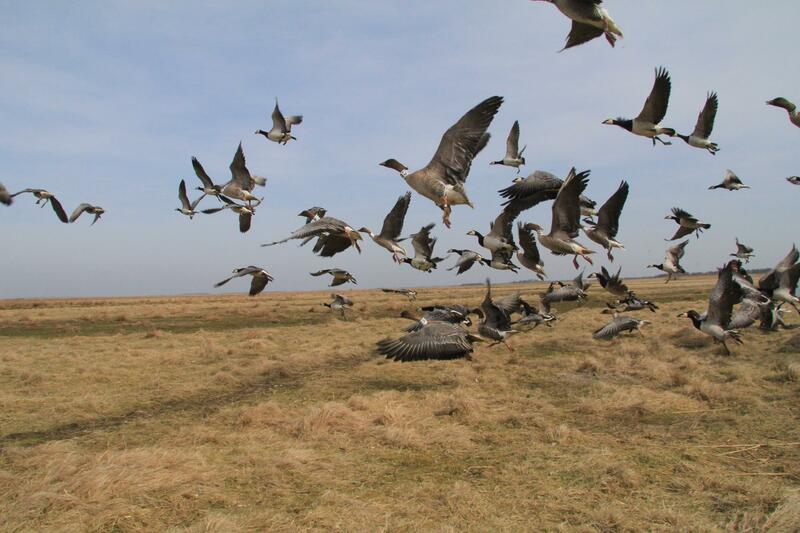 The 2014-15 annual review of the Svalbard pink-footed goose population has now been published. The report provides an overview and commentary on the population status of the Svalbard pink-footed goose in 2015. The population estimate for the Svalbard pink-footed goose (rounded to the nearest 1,000) for the spring of 2015 is 59,000 geese. Population estimates from November 2014 and May 2015, respectively, suggest a substantial decline in the population of c. 14,670 individuals. The conclusion is that the population has declined abruptly within the last two years. For more details please see the 2014-2015 Population Status Report. In addition, the Danish Centre for Environment and Energy has published a press release with further commentary on the population status and its surprisingly abrupt decline. The press release can be found on the Aarhus University DCE website.